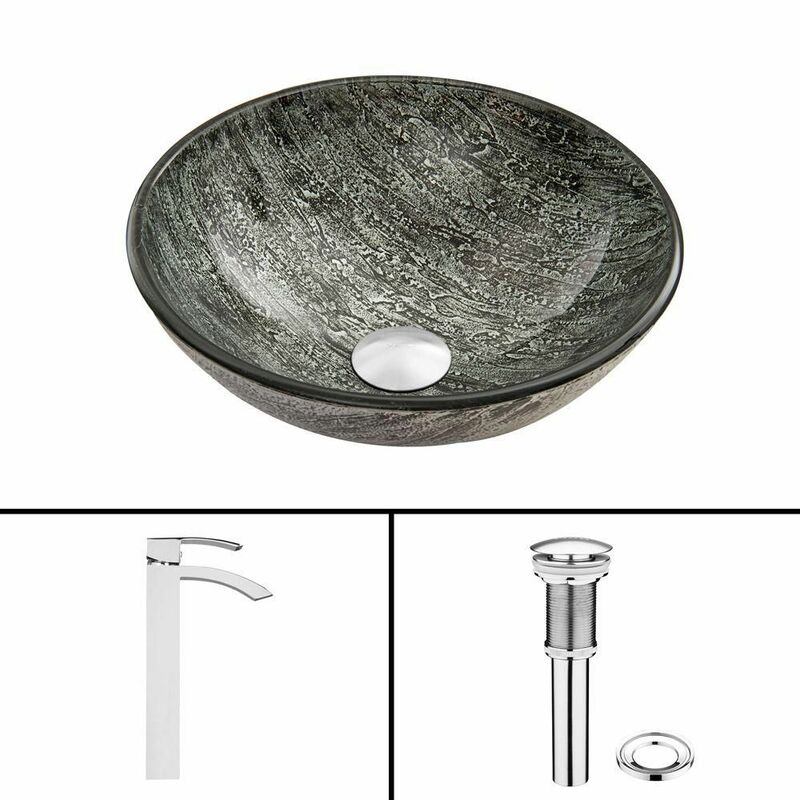 Glass Vessel Sink in Titanium with Duris Faucet in Chrome is rated 5.0 out of 5 by 2. Rated 5 out of 5 by Ferd534 from Beautiful sink and faucet combination. The quality of both the sink and faucet can't be beat. W... Beautiful sink and faucet combination. The quality of both the sink and faucet can't be beat. We're very happy with this combo and would definitely purchase this again. What&rsquo;s the diameter of the sink? What&rsquo;s the height of the sink from counter top? What&rsquo;s the height of the faucet from counter top?